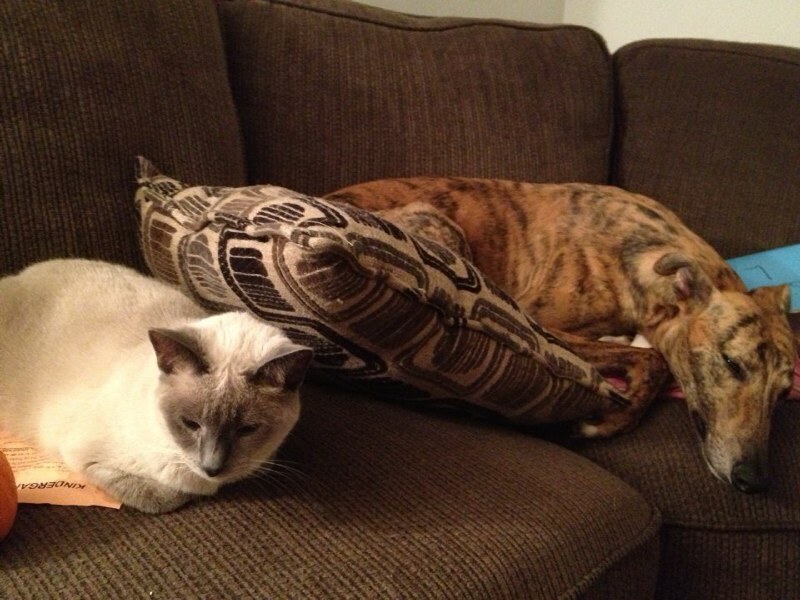 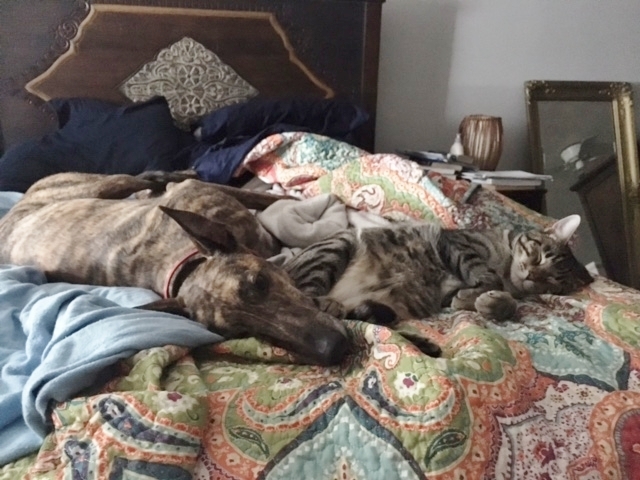 Retired racers can live with cats, small dogs and babies. 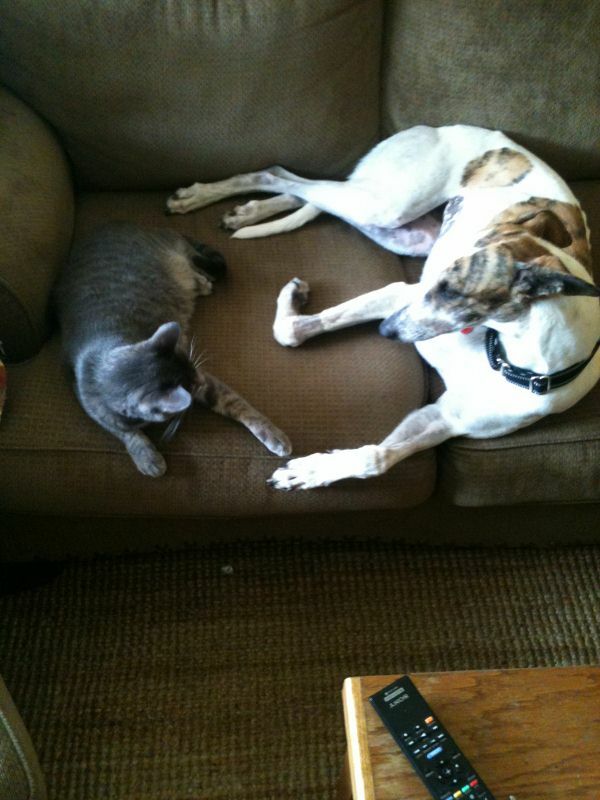 But it is up to the adopter to monitor the introducton and supervise their interaction. 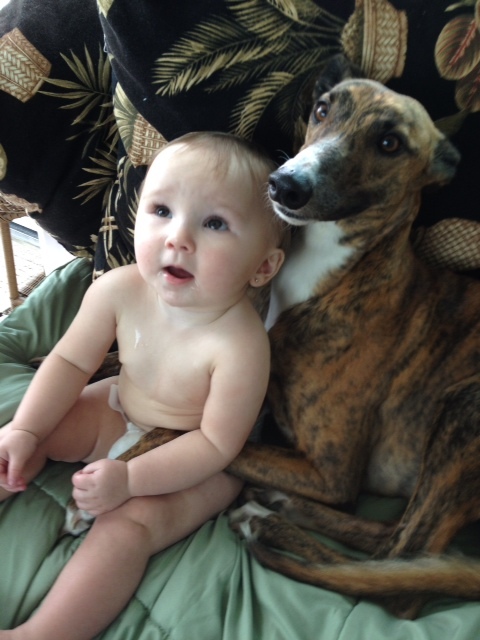 I do not "cat or baby test" the Greyhounds. 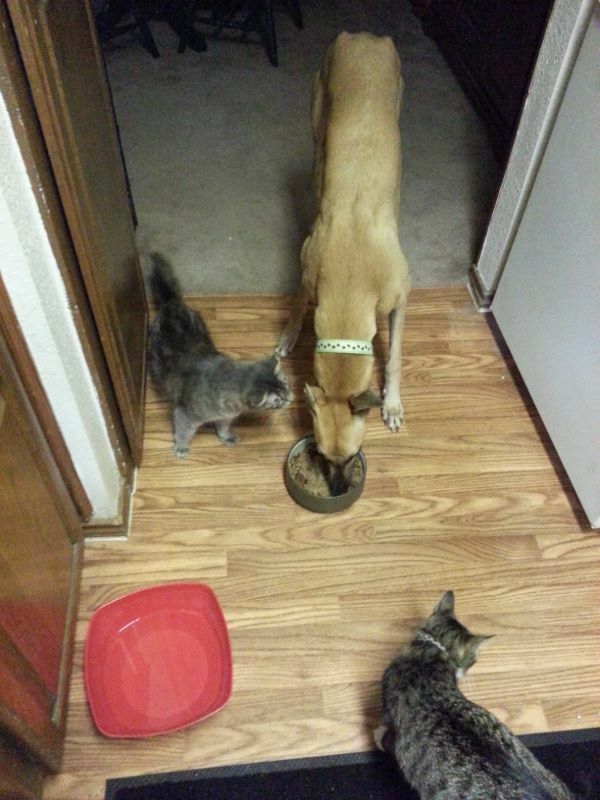 Most of them have never seen one and have no preconceived notions about cats, babies, or small dogs. 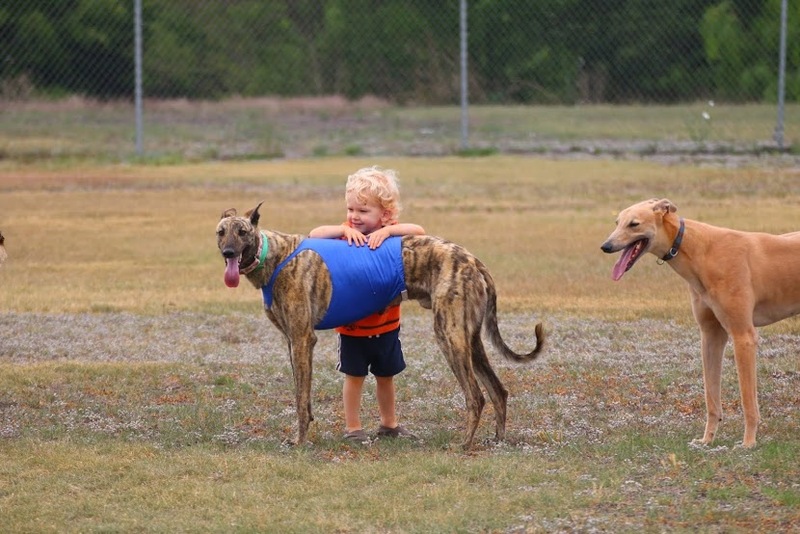 It is the same with children. 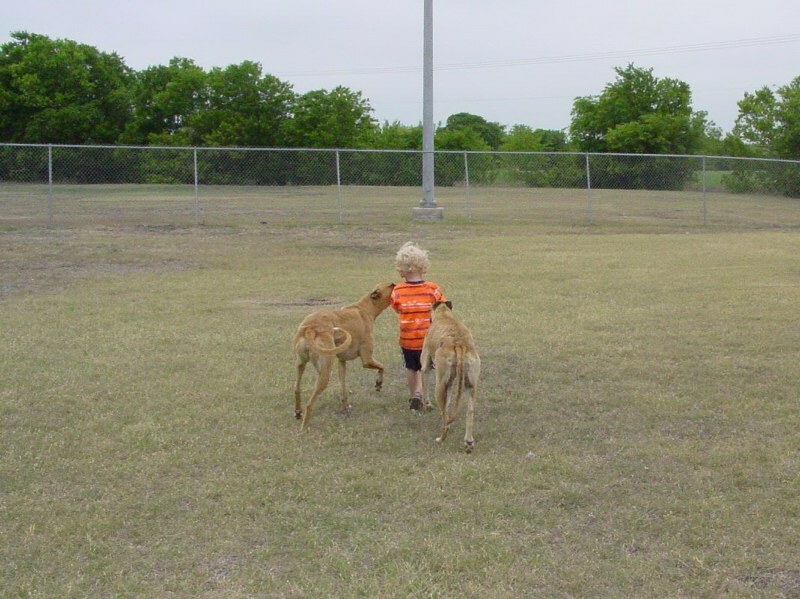 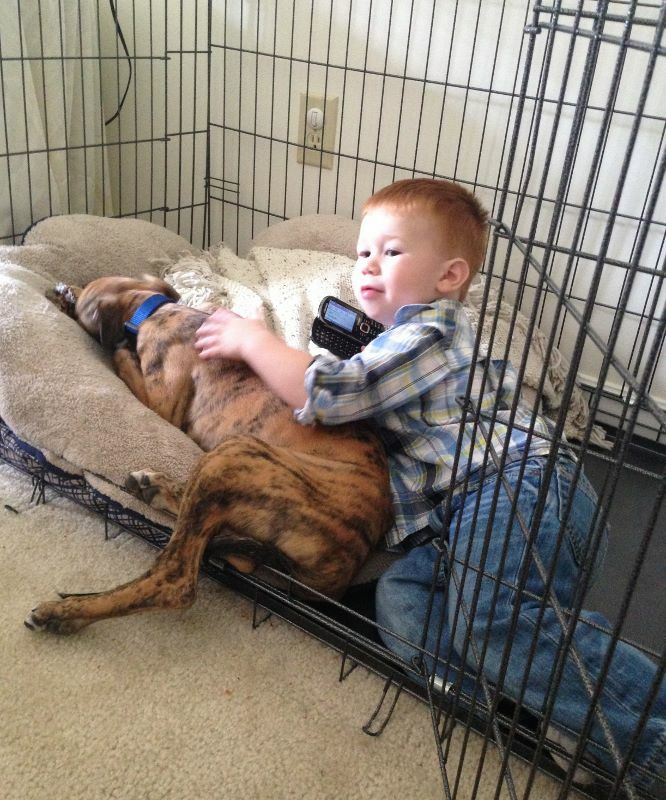 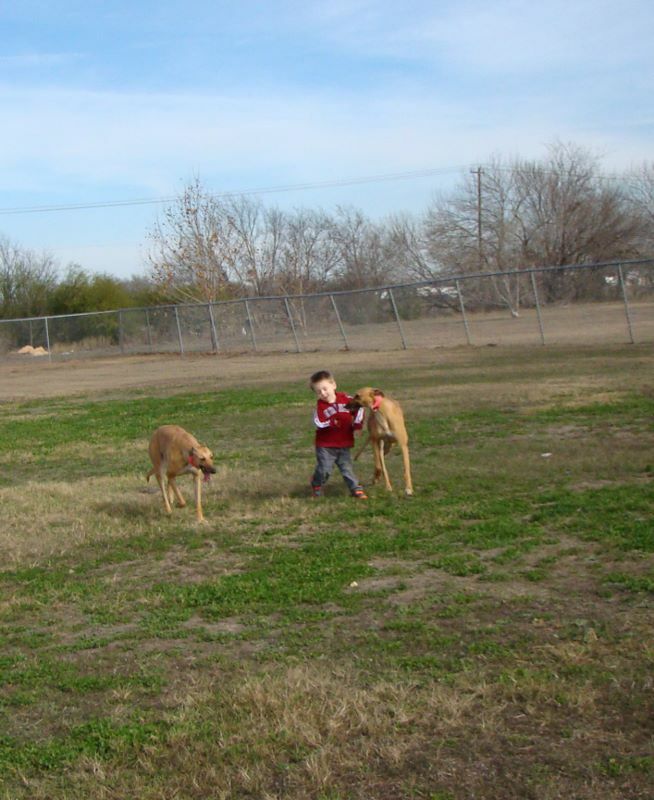 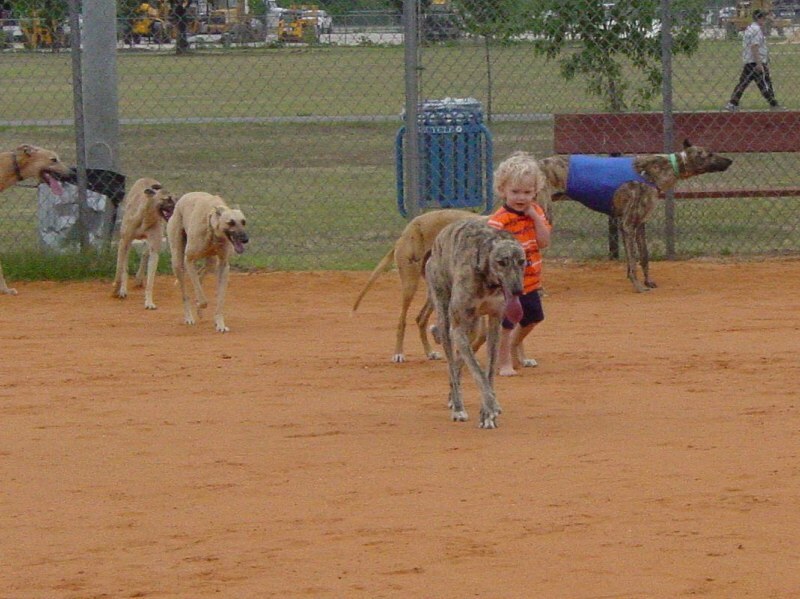 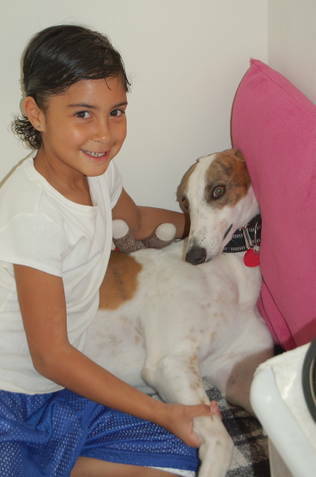 It is not whether or not the Greyhounds get along with kids, it's how kids behave around animals, not just Greyhounds. 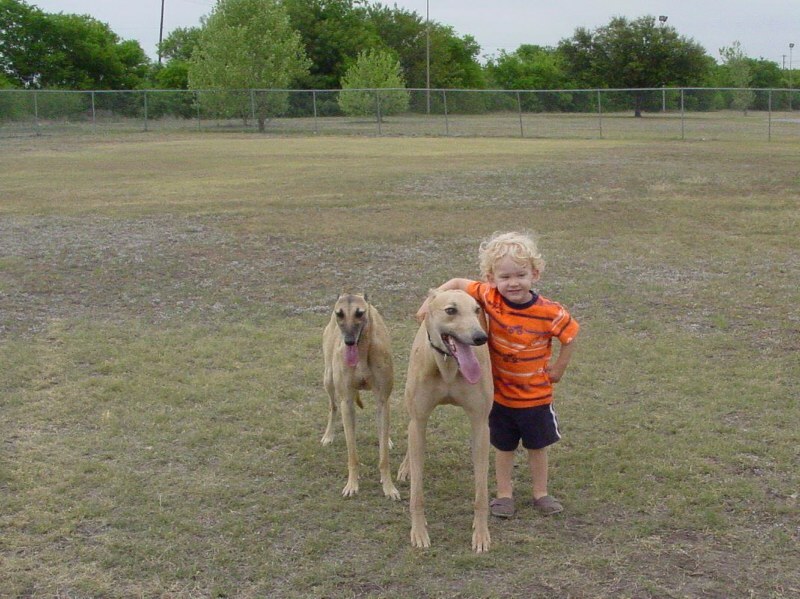 They need to be gentle and kind and loving. 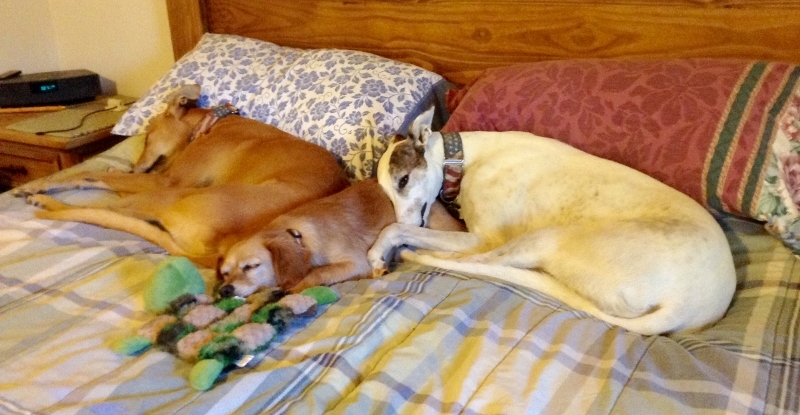 The dogs are. 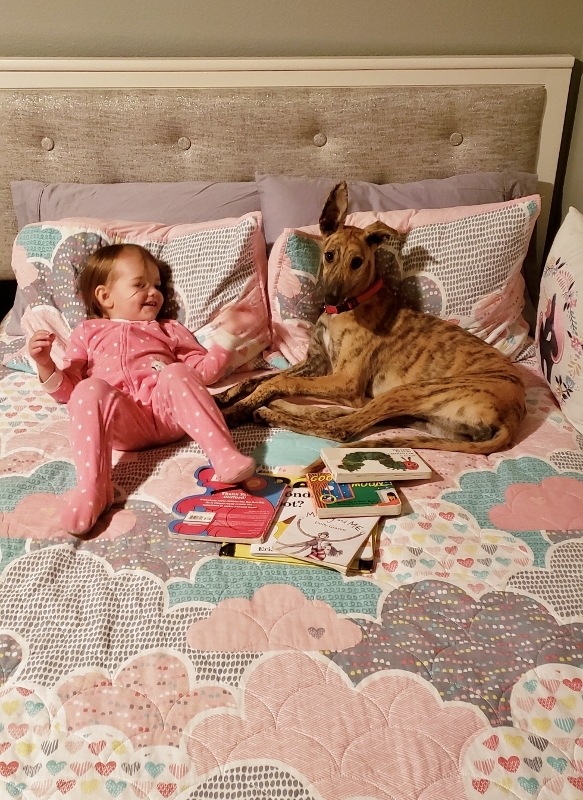 I mean the children. 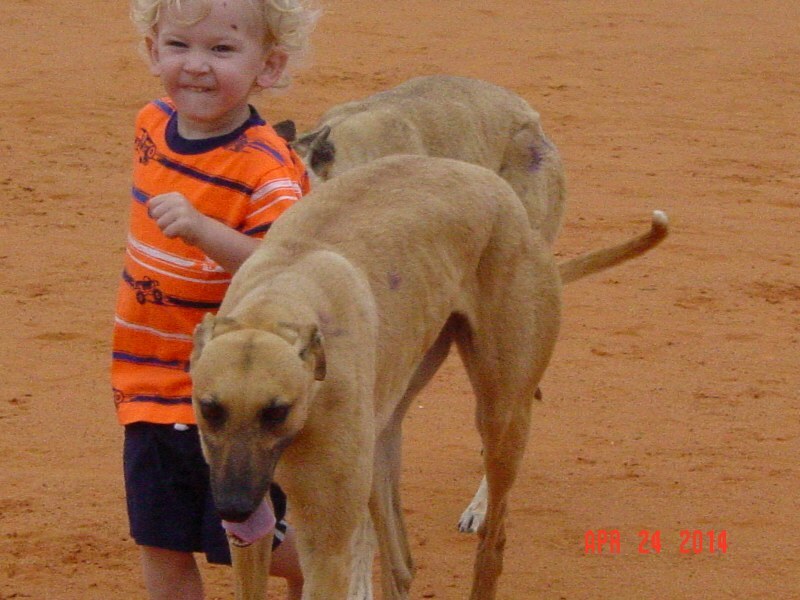 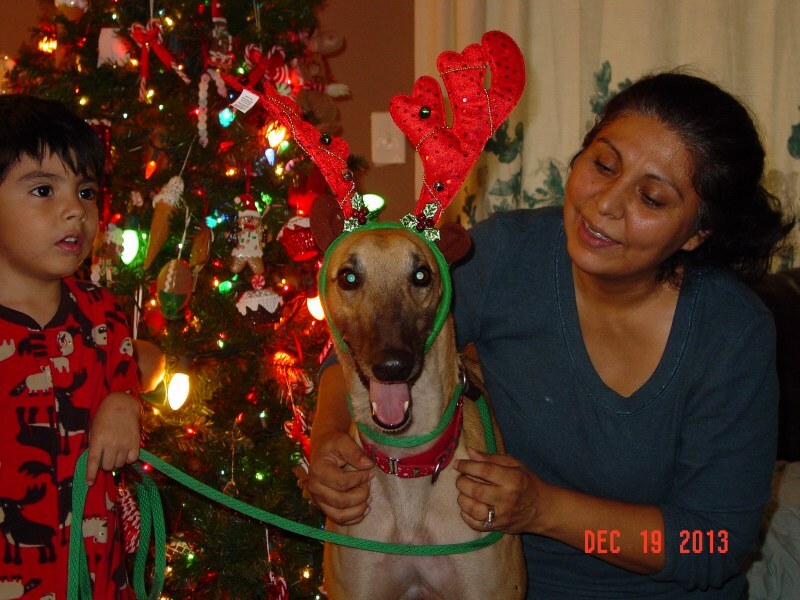 If your children are not good with dogs, then Greyhounds, that are sensitive creatures, will not do well with them. 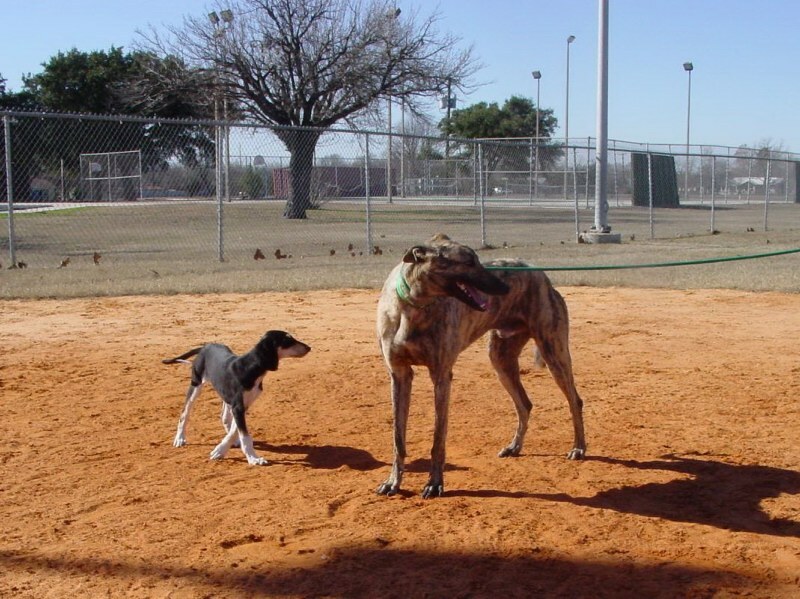 Retired Greyhounds can also live with small dogs, but it is up to the adopter to monitor the introduction and supervise their interaction. 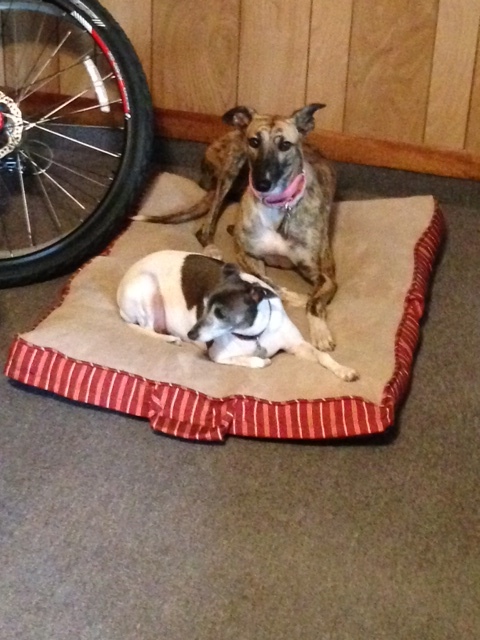 Willow just moved in with Foxie (above) and the Hanzelka family and here she is sharing a bed with their IG Bullitt. 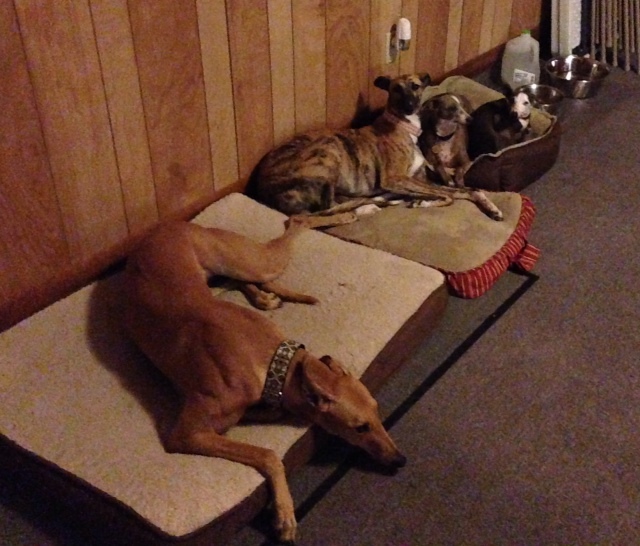 They choose their beds and the way they like to lay. 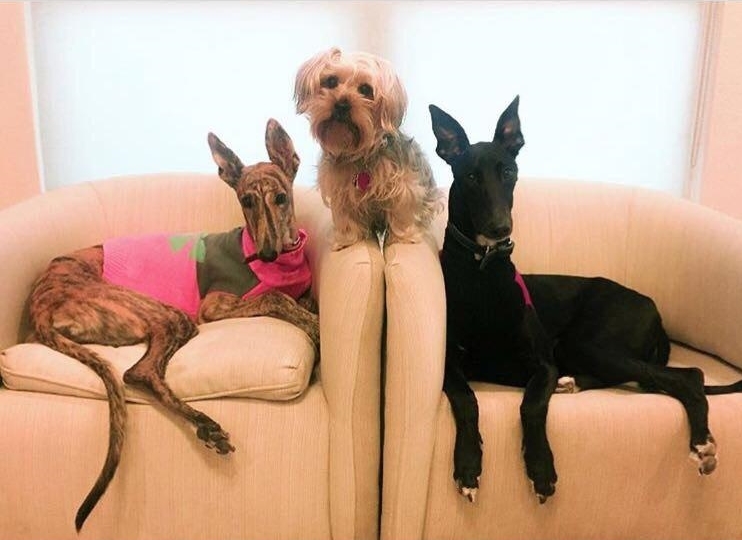 Two Greyhounds, Two Italian Greyhounds in a row! 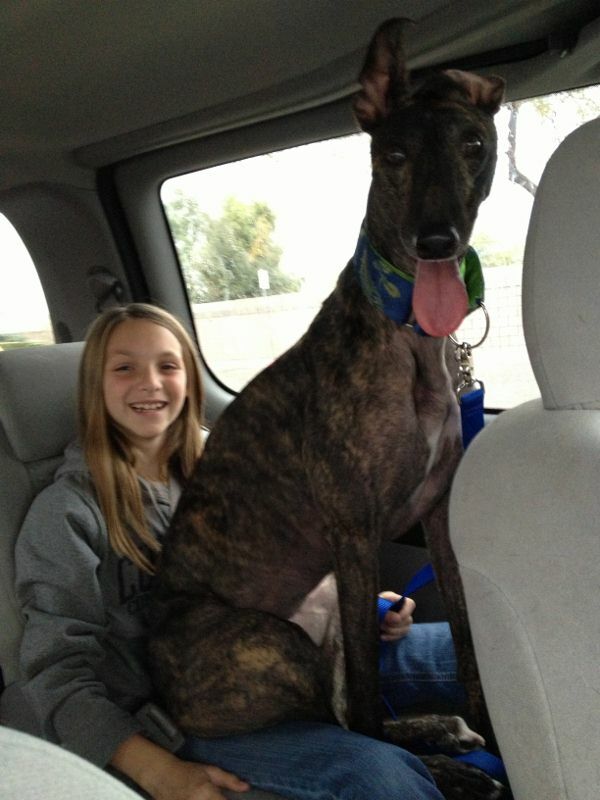 Zoe with her kid going home. 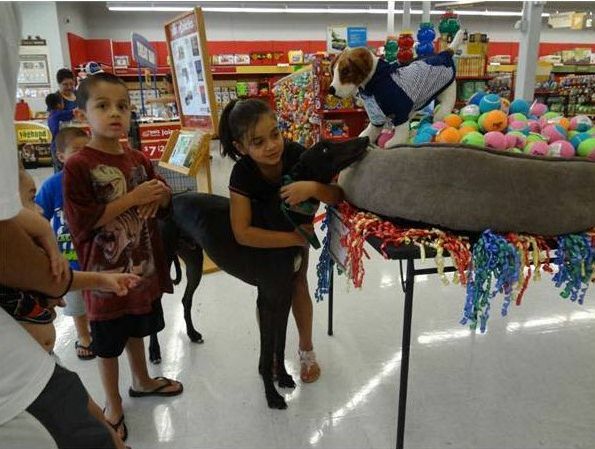 Blacky, aka Ramses met some kids at Petco. 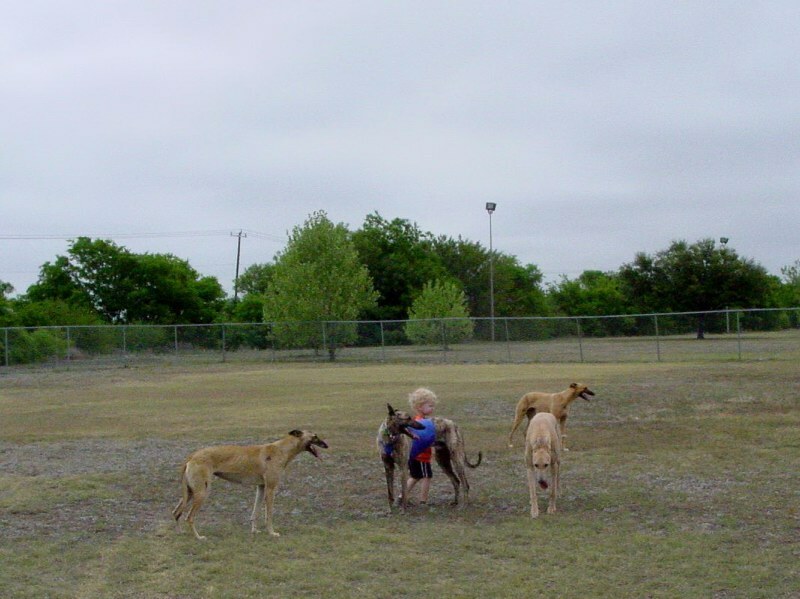 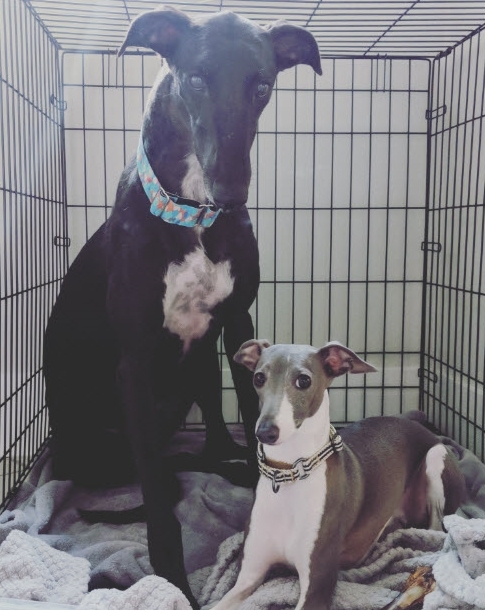 Finn made some new Greyhound friends today and he and his mom took Bandit home. 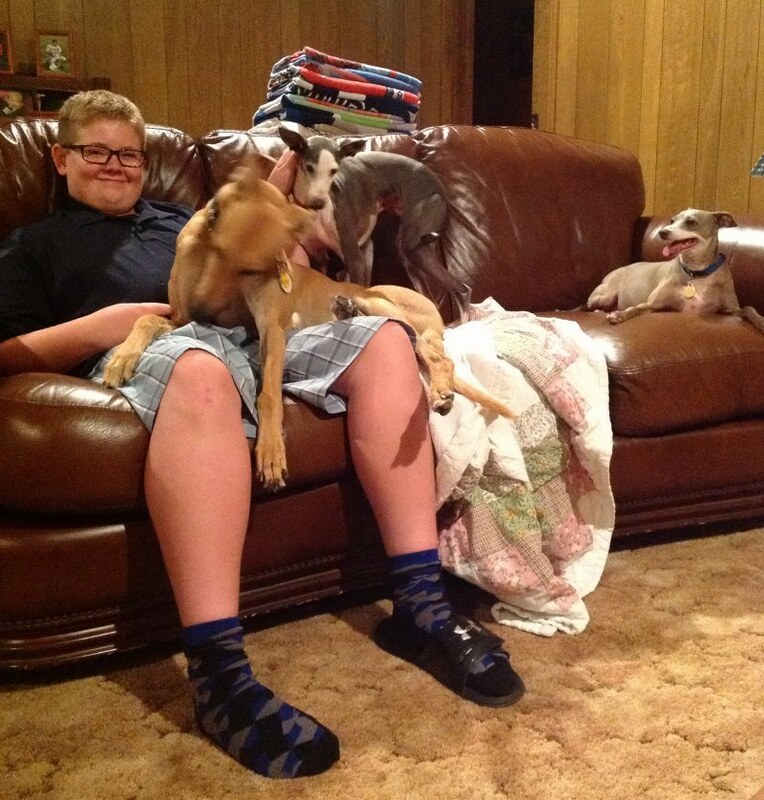 His best dog buddy is a 13-year old blind Boston Terrier who thinks he's just wonderful. 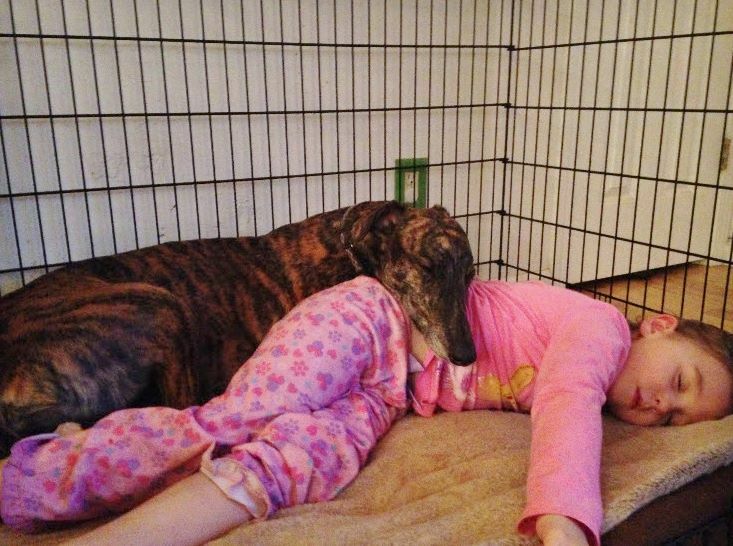 I think the feeling is mutual. 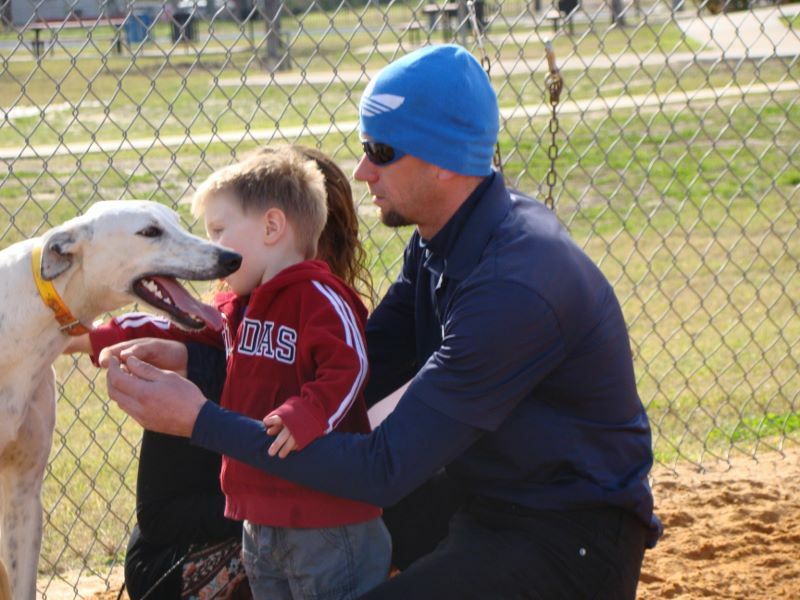 Gear and his two legged partner! 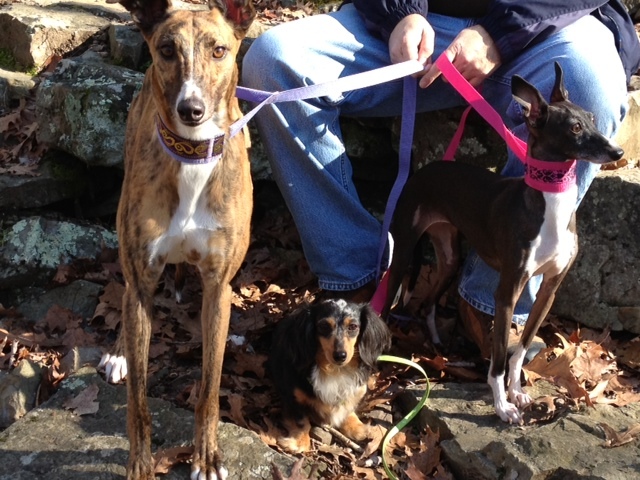 October 15, 2017 Former racer and Field Champion, Foxie with lure courser Luna and little Lulu (rescue) in the middle.